Join us at one of our Wednesday evening rehearsals to hear and see us in action. Hire us to sing at your event! We can perform at a wide variety of events and can offer something to suit every occasion, from a quartet, to a small or large chorus. It's a real 'Thriller' singing with us! We're recruiting for new members now! Surrey Harmony has been established for over 25 years and is a women’s chorus based in Coulsdon, Surrey. The chorus is part of the global barbershop organisation, Sweet Adelines International. Visit us. Be one of us! Women of all ages are welcome at our Wednesday rehearsals where you can hear and see how we sing and find out more about joining us. If you’d like to hire us, head to our contact us page and drop us a line. We’re waiting to hear from you. Help us to raise funds by bookmarking and using the following sites when searching the internet or for online shopping – every little bit helps our Chorus, whether you are a member or not! 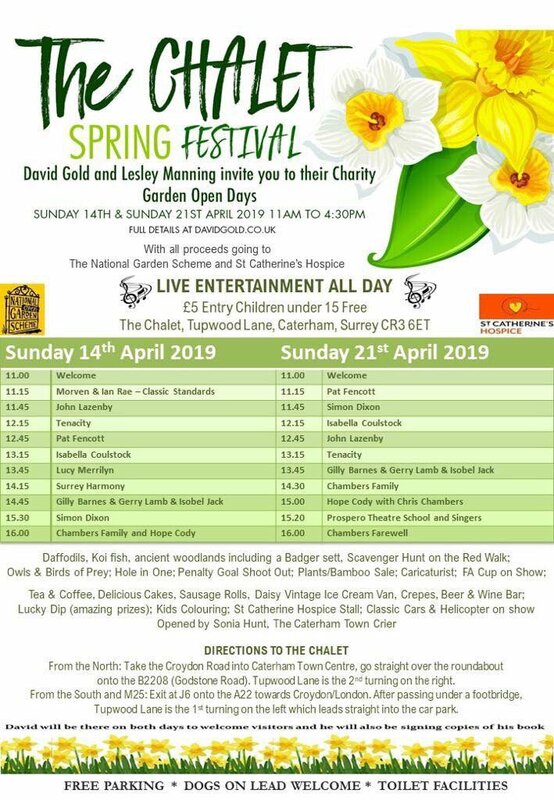 It may be a tad chilly, but tomorrow promises to be sunny, so why not wrap up warm & join the fun at the Spring Festival #charity event? We’re on at 2.15pm - we’d love to see you there! Surrey Harmony is a women's barbershop chorus based in Couldson Surrey. 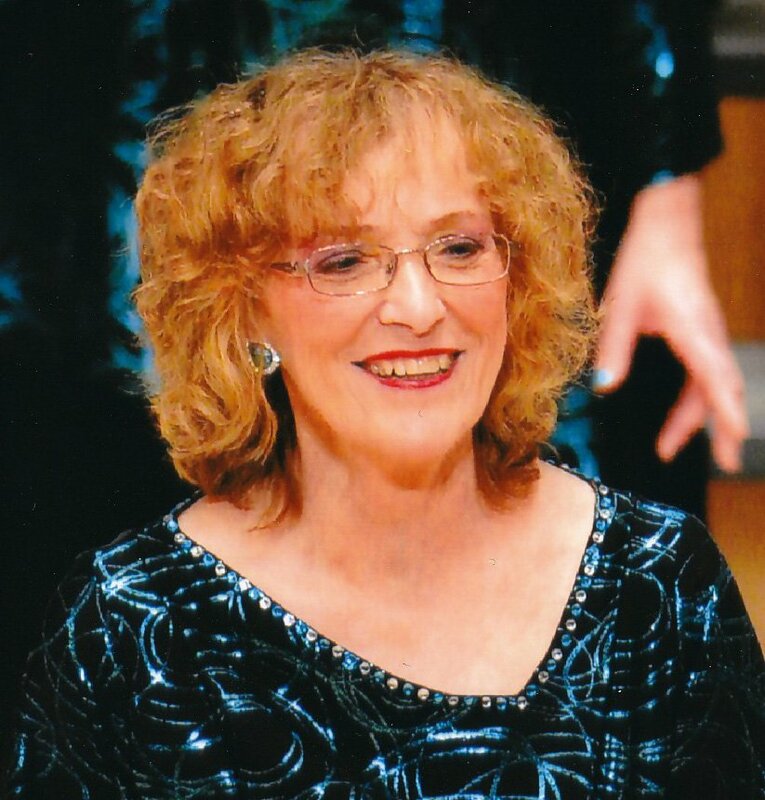 It is a member of Sweet Adelines International and competes in the Region 31 convention each May, as well as other competitions, concerts and sing-outs. The chorus is made up of women of all ages and from a wide geographical location. Prospective new members are always welcome to join us at one of our Wednesday evening rehearsals. Thank you to everyone who has taken the time to write such wonderful tributes to our talented and fabulous founding Master Director, Jenny - your kind words and sentiments have moved many of us to tears, and have brought much comfort to Jenny's family. In advance of Jenny's funeral on Tuesday 23rd April, 2.40pm at North East Surrey Crematorium, we would like to share with everyone the information provided by her family concerning tributes, flowers and donations to charity. In celebrating Jenny's life, Jenny's family have requested that any donations in her memory should go to Marie Curie Cancer Care and St Raphael's Hospice, Sutton. In order to provide a simple link for this, Surrey Harmony has set up a Just Giving page. By clicking the link below you will have the choice to donate to either charity, or to split your donation between both. WA Truelove, Funeral Directors, 31 High Street, Cheam, Surrey, SM3 8RE by 12.30pm on Tuesday 23 April. Our very own Bond girl, Trish Bates, letting off steam after successfully directing our performance this afternoon.